As an experienced wedding photographer, destination weddings at any of the beautiful Italian Lakes (Lake Garda, Lake Como & Lake Maggiore), make for both an unforgettable day and offer the chance for me to create magical wedding photography! Weddings are a little different here often including boat journeys – either as a treat for the guests (& photographer!) or, in some cases, as the best way of travelling between the place of the wedding itself and the reception villa or hotel. You can always be assured that a wedding in Italy but especially on one of the Italian lakes will not just be romantic & beautiful but also entertaining for family & friends too. I hope the short guide below will help give you some ideas towards planning the perfect Italian Lakes wedding. Formed by retreating glaciers, these cold lakes sit at the foot of various Alpine ranges making the lakes scenery very dramatic. The shore-lines are dotted with pretty, colourful lake towns and villages which are often busy and busting with lots to see and do and many of them make for fairy-tale wedding locations. The principle 3 lakes in Italy’s Lake region are Lake Garda, Lake Como and Lake Maggiore. Other smaller lakes include Lake Iseo, Lake Lugano and Lake Orta. The lakes generally have great boat services making the towns accessible and lake exploration straight-forward & surprisingly economical - but especially Lake Garda & Lake Como. Lake Garda is Italy’s largest lake. The foot of the lake is situated near to the towns of Verona and Brescia whilst the north of the Lake Garda is in the region of Trento. Slightly over 50km in length the lake is roughly triangular in shape with a wide base and a narrow top section. The beautiful lake-side town of Riva del Garda is situated at the very top of Lake Garda at the southern edge of the Italian Alps, near to the Dolomites. The eastern side of the lake is wonderful to drive along, passing through some of the lake’s popular towns and villages including Malcesine, Torri del Benaco and Bardolino. Malcesine is particularly popular as a wedding destination as its most prominent landmark is Malcesine Castle which has 13th-century fortifications. 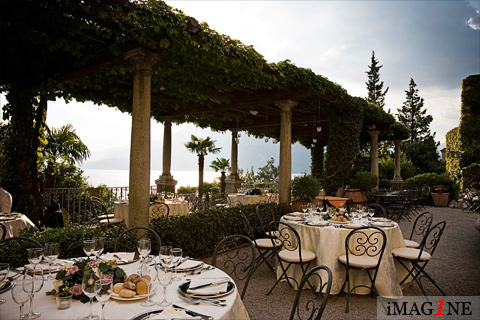 Weddings take place on a terrace high-up in Malcesine Castle, over-looking Lake Garda to the north and the south. The pretty little town is busy with cafes, bars & restaurants lining the narrow, pedestrian-only streets around the little harbour areas and is one of my favourite places to photograph weddings. There’s so much ‘Italy’ to get into the photographs there - something often overlooked by wedding photographers. One of the most popular holiday resorts on the shores of Lake Garda is Sirmione, situated on a long-narrow peninsular at the foot of the lake. Like Malcesine, it’s teeming with cafes, bars, hotels & restaurants. I also particularly love to photograph in Gardone Riviera with the lovely little piazza on the lake shore & the village of Limone – further up the lake to the North but also on the western side of Lake Garda. The deepest lake in Europe and Italy’s third largest, Lake Como has a really classy feel to it and is a little less busy than Lake Garda. It's a fabulous destination for weddings - I photograph regularly here throughout the wedding season. Since Roman times, Lake Como has been a popular retreat for the wealthy and is famous for its numerous lake-side villas and palaces (such as Villa Serbelloni, Villa Carlotta, Vila Olmo, Villa Melzi and Villa del Balbianello (pictured left). Where Lake Garda is a long triangle shape, Lake Como is ‘Y’ shaped. The town of Bellagio sits at the cross of the Lakes’ ‘arms’ and is the ‘jewel of the lake’ according to many. It is one of the most picturesque destination wedding venues in the world. It really is a place that guests are blown away by and, of course, it makes for amazing wedding photographs! The western shore of Lake Como is more populated than the east and includes villages including Menaggio (which I particularly love), Tremezzo, Lenno and Argegno. The beautiful church of Ascension in Cadenabbia hosts many weddings for couples from overseas. The City of Como is the administrative capital of the Province of Como and is also a popular destination due to its position at the foot of Lake Como. On the eastern side of the Lake, Varenna is a favourite – a view of the beautiful terrace at Villa Cipressi is pictured above-right. Lake Maggiore is a large, long and fairly narrow Lake whose northern end is actually in Switzerland. It is the most westerly of the three lakes and boasts a mild climate in both summer and winter. One of the principle towns on Lake Maggiore is Stresa, home to around 5000 inhabitants and a popular location for destination weddings. 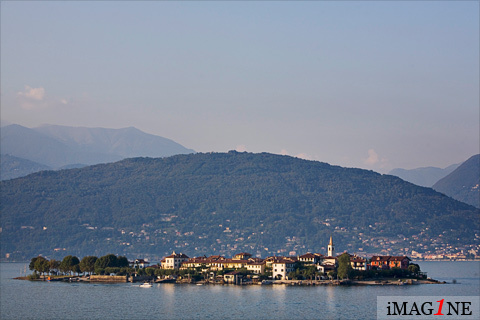 Lake Maggiore also has 3 islands known collectively as the Borromean (Borromeo) Islands which whilst small are rich in history. The Monastery of Santa Caterina del Sasso and the Castles of Cannero are also well worth a visit. Lake Maggiore is equally stunning but a little quieter than either Garda or Como, and has it’s own particular attraction for many wedding couples. Having inspired countless poets and artists over the centuries how could it not be a wonderful place for a wedding? If you’re considering the Italian Lakes as a wedding destination, there are many beautifully-stunning options to choose from. 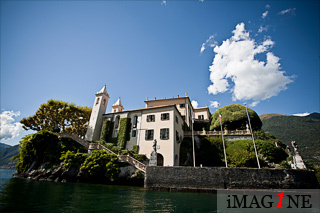 I’m privileged to photograph regularly at Lake Garda and Lake Como and occasionally at Lake Maggiore. From a wedding photographer point of view, are all pretty special: dark blue skies, snowy-mountain backdrops and the deep blue of the lakes themselves. Combine that with the typical oranges & yellows of the Italian buildings & it’s easy to see why these lakes are so popular for destination weddings. Don't discount the smaller lakes: Lake Iseo, Lake Lugano and Lake Orta - they all have their own special charm. If you're looking more generally at wedding destinations and have yet to make up your mind where your wedding will be, perhaps you'd like to try my wedding photographer's guide to Rome.